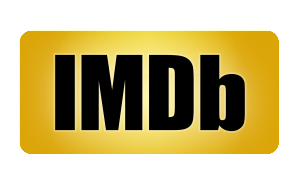 Greetings and thank you for taking the time to read about our film. We are trying to raise $5000 in closing money to complete Eulogy. We filmed Eulogy last year and after finishing our rough cut, we entered the film into some local festivals here in New York. 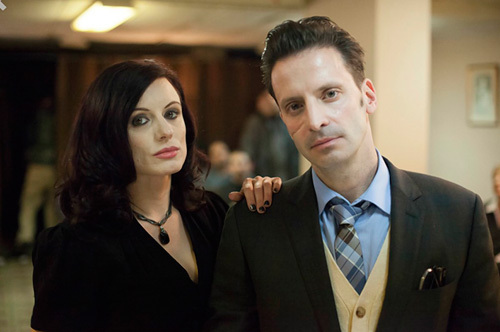 We were nominated for, and won “best ensemble cast” at the 2015 Queens World Film Festival. At that time we realized we wanted to complete the film with the same integrity that we began with. The $5000 will allow us to go in for: final editing, ADR, additional scoring, sound mixing, and color correction. Please click on the video to hear from writer/director Don Capria and get a chance to see a sneak peek at one of the finished scenes from the film. We thank you for reading and humbly ask for your donation towards our completion. Please feel free to share this page with a friend. Thank you for your support. Loyalty is what the short film “Eulogy” is all about. 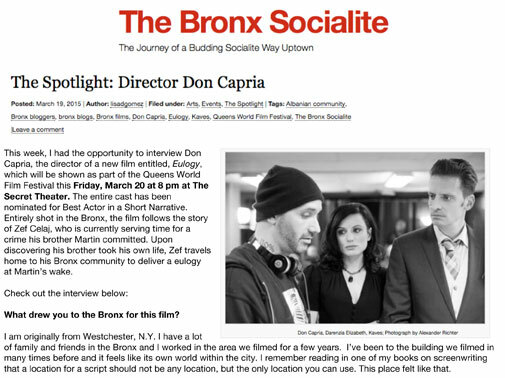 Queens Ledger features Don Capria and Eulogy. The short film follows lead character Zef Celaj, who is serving 25 years in prison for a crime that his brother, Martin, committed. After discovering that Martin committed suicide, Zef returns home to his Bronx neighborhood to deliver a eulogy at his wake. The film tells a story of brotherhood and integrity while also offering a look into the tight-knit Albanian community. 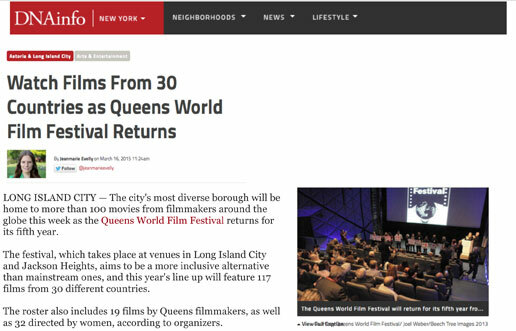 The festival will also showcase the work of more than a dozen Queens filmmakers. 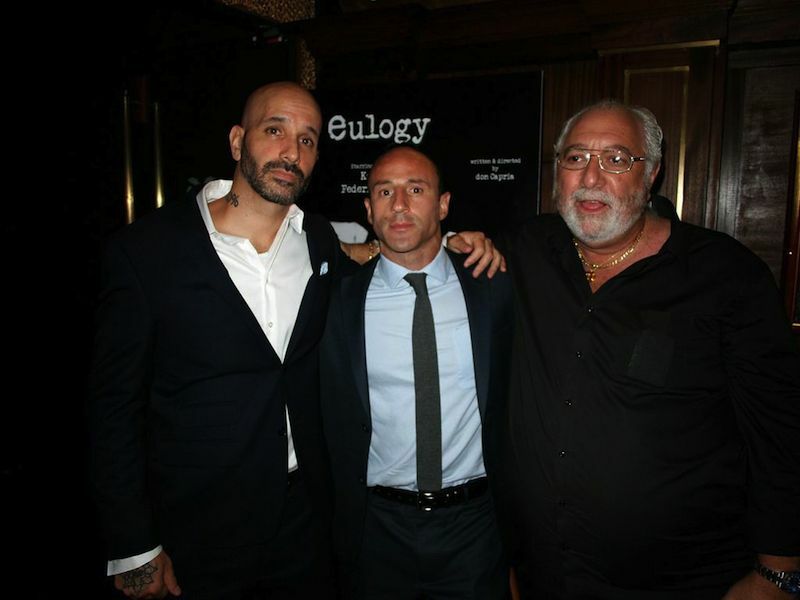 Among them is “Eulogy,” a short film from Astoria writer and director Don Capria about a man who returns to his home in the Bronx during a furlough from prison to deliver a eulogy at the wake of his brother, whose crime he’s serving time for. 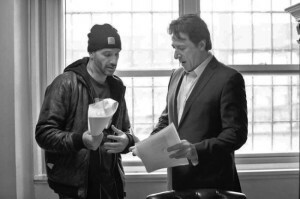 The cast includes actor Federico Castelluccio, who starred in “The Sopranos.”It will screen Friday, March 20 at The Secret Theatre. 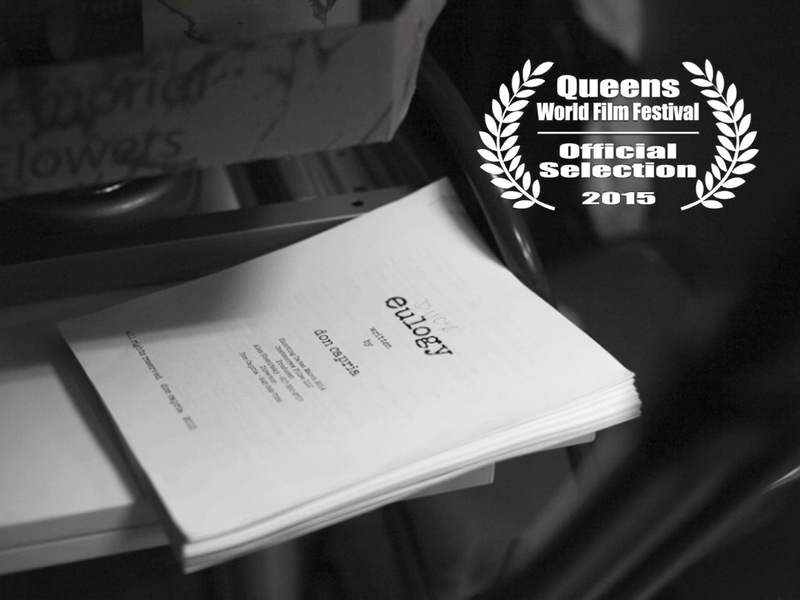 EULOGY official selection in 2015 Queens World Film Festival. More details to come. See link for more information.